Yamaha Corporation announces that four of its designs received Good Design Awards 2018, which is sponsored by Japan Institute of Design Promotion: namely VOCALOID keyboard "VKB-100", digital piano "P-121" and "P-125", digital piano "P-515", and Hybrid piano system "TransAcoustic™ TA2". Among them, "VKB-100" has been selected for the Good Design Best 100, that is awarded for excellent in design and is the candidate for the grand prix and special prizes. This year, these prizes will be announced on October 31. *"P-121" and "P-125" are counted as one item. All the award-winning designs have the same fundamental Yamaha design philosophy behind them. This philosophy calls for creating products that realize the goals of "being loved and used for the long term", "gradually increasing in value over time", "having simple designs", and "achieving a balance between carefully selected materials and a beautiful finish". 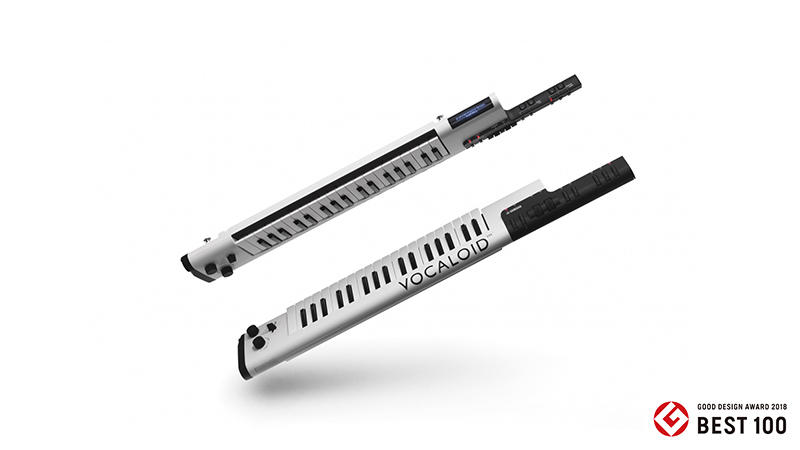 The VOCALOID™ Keyboard "VKB-100" (Selected for the Good Design Best 100) *Available only in Japan. The keyboard "sings" lyrics input in advance in real-time and matches the notes on the keyboard to the song. Using the keyboard and buttons, singing style and melody can be changed freelyin the performance venue. The shoulder keyboard configuration provides a feeling of unity with the instrument, allowing performers to operate the controls and add expression to the voice with their left hand while playing the melody with their right. It makes this keyboard an instrument that gives the player a taste of the joy of performance. Digital Piano "P-125" and "P-121"
New models in the bestselling "P Series" of compact digital pianos. The product of cutting-edge digital and acoustic technology and piano-crafting know-how accumulated over many years, these instruments combine an authentic piano sound and keyboard at an affordable price. The digital piano is compact and simple, but it also combines the rich sense of volume and texture of an authentic piano. 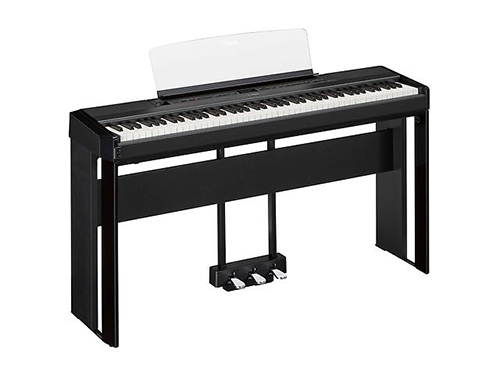 The P-125 features the same 88 keys as an acoustic piano and the P-121 features a smaller, 73-key keyboard that reduces the size and weight of the instrument without sacrificing any of the enjoyment of playing and can be easily carried to other venues for various performances. 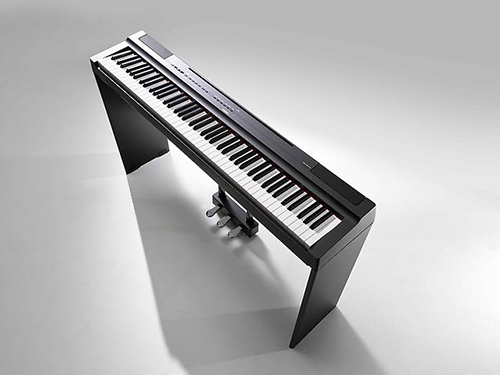 The high-end model in the bestselling "P Series" of compact digital pianos. The P-515 features piano sounds sampled from the flagship Yamaha CFX and Bösendorfer Imperial concert grand pianos. With a wooden keyboard extremely close to that of an acoustic grand piano with high-grade piano sound, we can enjoy superb piano performance. This series balances rich sense of texture in a plain form, and impressive presence and dynamic impression. Hybrid Piano System "TransAcoustic TA2"
The latest version of the system fitted to Yamaha TransAcoustic piano transmits digital sound directly to the piano soundboard. This system makes it possible to control volume without losing the rich sound only an acoustic piano can provide. 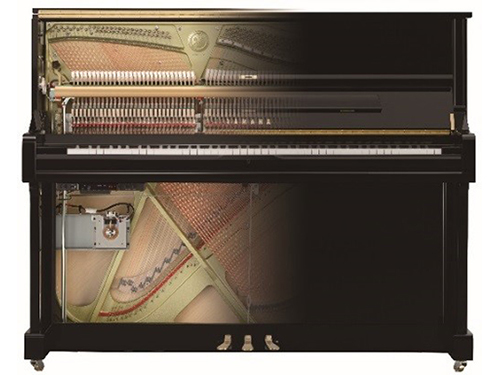 The operations unit is integrated into the instrument body so that it retains the beautiful exterior of a piano. Performers can enjoy authentic acoustic sound any time they wish by adjusting the volume to suit the time of day, the surroundings and the preferences around them. 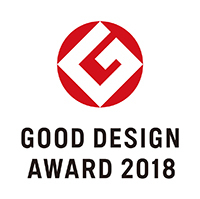 The Good Design Award is a comprehensive and annual program for the evaluation and commendation of design, organized by Japan Institute of Design Promotion. Its origin was the "Good Design Selection System" established in 1957 by Ministry of International Trade and Industry. Since then, it has been bestowed on approximately 45,000 outstanding designs over about 60 years. Since 1957, Yamaha has received 284 design awards in a range of different categories, including the 2017 Grand Award for its casual wind instrument, Venova™. *VOCALOID, TransAcoustic and Venova are trademarks or registered trademarks of Yamaha Corporation.